Barcelona, February 09, 2017. – Even though big corporations and start-ups might seems to be at opposing ends of the spectrum, new models of collaboration are starting to emerge to drive innovation in products, services and technology. Corporate Venturing is the different types of bridge-building between well-established big corps and start-ups. And the concept is catching on. 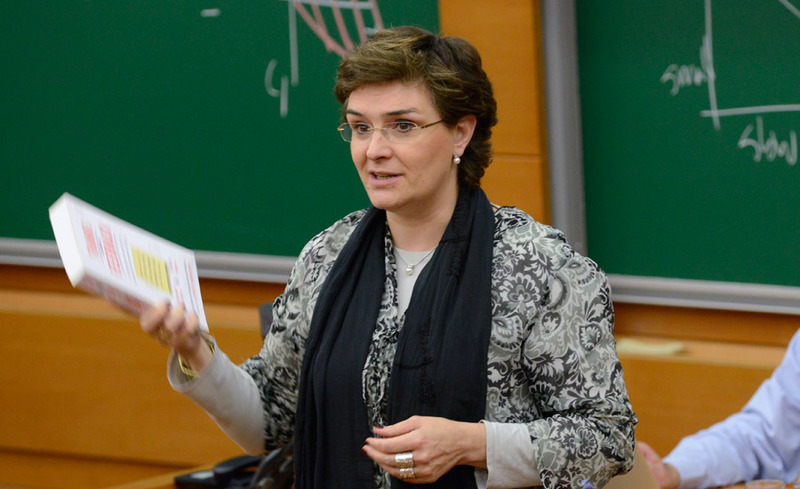 Published by mVenturesBcn and led by Júlia Prats, IESE professor of Entrepreneurship (and holder of the Bertrán Foundation Chair of Entrepreneurship), the study is a sort of how-to guide for corporate venturing. 3. Define the organizational strategy and resources. Sharing resources: granting startups access to useful tools and materials while the established corporations get closer to the entrepreneurial ecosystem. Strategic partnership: Alliances between established corporations and startups can take many forms – including the co-development of products and services and the venture client. Corporate incubator: This includes mentoring and value-added services to support entrepreneurs building viable, market-ready ideas. Corporate accelerator: Short or medium-term support offered to cohorts of startups via mentoring, education, work space and more. Acquisition program: Established firms purchase startups in order to access their products. This kind of collaboration exposes strengths and weaknesses in both established companies and start-ups. Corporations have financial clout, the technical and human resources and the market demand to push innovation through to market reality. That said, they oftentimes lack the agility and the entrepreneurial or disruptive mind-set that characterizes smaller organizations. In the entrepreneurial ecosystem there is an abundance of ideas, talent and an appetite for risk. There’s also a need for investment in projects, and the financial backing to keep developing ideas in the early stages. It was only a matter of time till these two worlds found each other.